"I want to tell you something." My husband pulls my daughter aside in the other room. She's in a huff, a frothing mixture of frustration and tears and hiccups, over something that her sister has done. He waits until she simmers down to speak. His tone is gentle, but it carries weight. "I know that you're mad, but you control your own response." 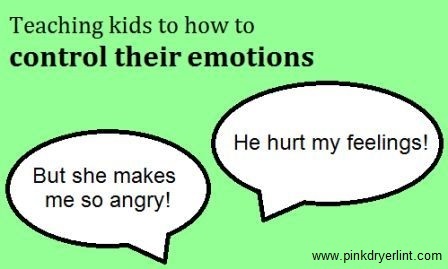 It's a simple message that we're trying to instill in our children: they are the ones who control their reactions to whatever circumstances they encounter. They control if they get mad, if they lose their cool, if they throw a tantrum. Not anyone else. Simple, but revolutionary. Not to mention, hard. Even as an adult, it's easy to let other people and outside circumstances dictate how I'll react. He made me mad. Her comment made me feel inferior. That situation frustrated me. Given enough outside turmoil, the emotions and thoughts of my inner life can be run through an agitator, leaving me ungrounded, unsettled, and upset. Whether you're five or fifteen or forty-five, this isn't a stable way to live. Take a breather. In the heat of the moment, tempers can flare. In my own life, I sometimes need to step away and compose myself before responding. Likely, our kids need the same buffer. Coach your child to count to ten, encourage (or make) your child leave the room, or build in a waiting period until a child is calm enough to respond reasonably. Knowing my limitations allows me to focus on the one thing I can control: my response. Can I choose kindness? Understanding? Patience? Can I model this for my children? Can I talk them through the process of making good choices with what they can control? Try and try again. We'll mess up. I still respond with impatience to my children's impatience. I mull over a comment, stewing over its intended meaning. I bristle when snubbed. But, Lord knows, I'm taking strides and growing in my capacity to honor God with my responses. I expect that I'll be learning for the rest of my life. Our children will, too. We're all works in progress. During these formative years, let's give our children the necessary tools to control their responses in a productive way. And when we're frothing, hiccuping, angry messes, let's gently remind ourselves with the same message, "I know you're mad, but you've got this one. You control your response." Have any tips that have worked for you? Feel free to share! Moms, are you looking for a good read to encourage you, make you laugh, and remind you that you're not alone in motherhood? 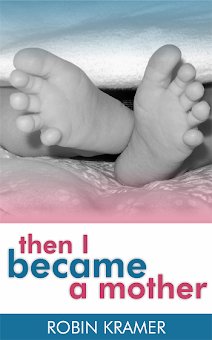 Here's what readers are saying about Then I Became a Mother. Available in Kindle, Nook, and paperback editions. I know! It's always challenging when you're working to instill those lessons that you're still leaning. Thank you for adding this post to your February link-up, Francesca. You hit the nail on the head, Siobhan: "parenting is the biggest life teacher of all!" So accurate! Thanks for the recommendation on Danny Silk's series. I'll definitely look into those podcasts. This is fabulous and SO true. I think as you mentioned, the biggest, most important, and most challenging approach is to role model. Being mindful of our own language and responses (especially when in earshot of our children). I find it challenging because "she hurt my feelings"; "he broke my trust", etc... I am sensitive and I work daily to correct myself in how I view and approach things. Praise the Lord for His strength and grace because I couldn't possibly do it on my own. These are fabulous tips Robin. Thanks for sharing. Thanks, Jennifer. Like you, I'm sensitive, which makes it much easier to take things personally and nurse hurts instead of airing them out or letting them go easily. Wonderful reminder that it's God's strength, not our own, that allows us to function like we should!